The STR Global data, compiled for the Hotel Association of Turkey (TÜROB), showed that the revenue per available (RevPAR) hit 45.4 euros in June with a 47.1 percent year-on-year increase. During the same month, hotel occupancy rates across the country rose to 56 percent, marking a 24.9 percent yearly increase. Thus, the RevPAR showed a much higher increase than the country’s hotel occupancy rates did for the first time in the last three years. The average daily rate, or ADR, was 81.5 euros in June with a 17.8 percent yearly increase. “Turkey’s aim should be to increase its hotel revenues rather than attracting a higher number of tourists,” TÜROB President Timur Bayındır said. The tourism sector has been experiencing a strong recovery since the second half of 2017 in terms of foreign tourist arrivals. The hotel revenues, however, continued to be lower than they did in the heydays of the sector in 2015. “We really saw a significant increase in hotel revenues in June. 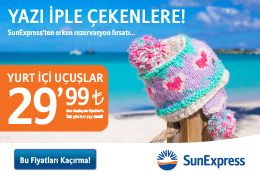 Although a strong base effect played a role in this rise following a couple of years of plunge, the result is pleasing for us,” Bayındır said, adding that the association kept its yearend double-digit increase estimates both for tourism numbers and hotel occupancy rates. In June, Turkey reached the highest yearly increase in hotel occupancy rates across 27 European destinations, but it ranked at the bottom of the list of the destinations with the highest hotel occupancy rates. Ireland reached the highest hotel occupancy rate among all destinations with 88.7 percent, according to STR data. Istanbul witnessed the highest increase in hotel occupancy rates in June among all European destinations, as the rate rose to 57 percent with a 29.8 percent yearly increase. While the city’s ADR rose to 87.8 euros by a 27.3 percent year-on-year increase, the RevPAR rose to 50 euros by a 65.3 percent yearly increase. Antalya’s hotels experienced the highest RevPAR among all Turkish hotels. 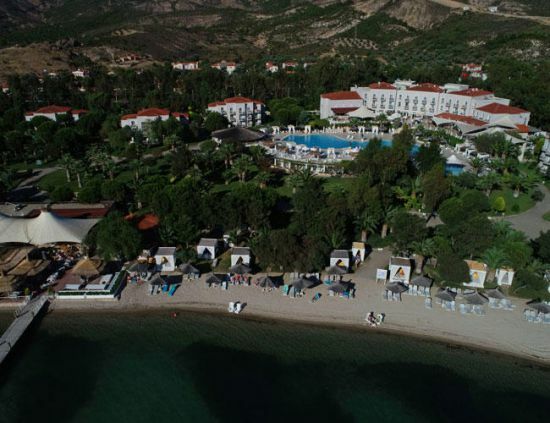 Antalya hotels’ ADR rose to 115.5 euros in June with a 15.2 percent increase, their RevPAR was calculated as 75.9 euros with a 35.7 percent yearly increase. Hotel occupancy rates in the Mediterranean resort province of Antalya were 65.7 percent in June, marking a 17.8 percent compared to the same period of 2017. In the first six months of the year, Turkey’s hotel occupancy rates rose to 63.1 percent with a 17.2 percent yearly increase. While the ADR was 65.2 euros with a 7.8 percent year-on-year increase, the RevPAR was announced at 41.1 euros by a nearly 27 percent yearly increase.